Behind every great day is a great night at our newly renovated Comfort Inn St. Robert-Fort Leonard Wood hotel in St. Robert, MO. Our smoke-free hotel is located directly off Interstate 44 in the Ozark Mountains near Fort Leonard. Business travelers have access to copy and fax machines in our business center as well as other important amenities such as a complimentary weekday newspaper and free WiFi, coffee and hot breakfast. An exercise room and laundry facilities are also onsite. 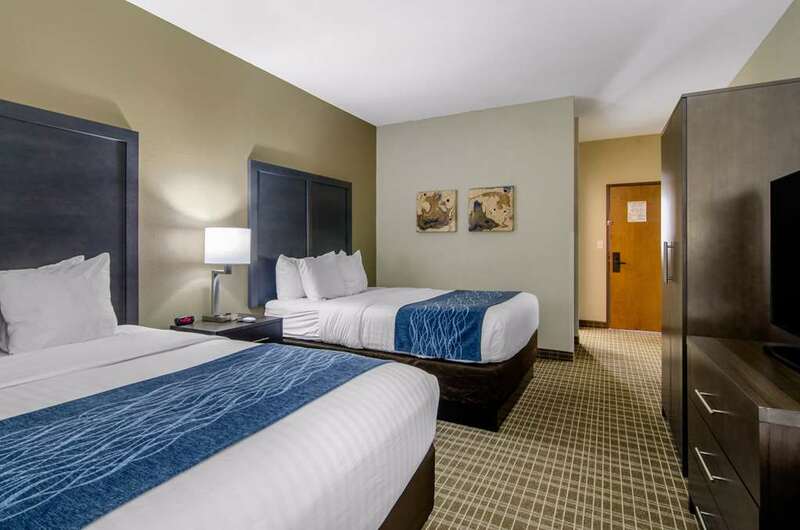 All rooms feature flat-screen TVs, refrigerators, microwaves, irons, ironing boards, hair dryers and coffee makers. Also, earn rewards including free nights and gift cards with our Choice Privileges Rewards program.